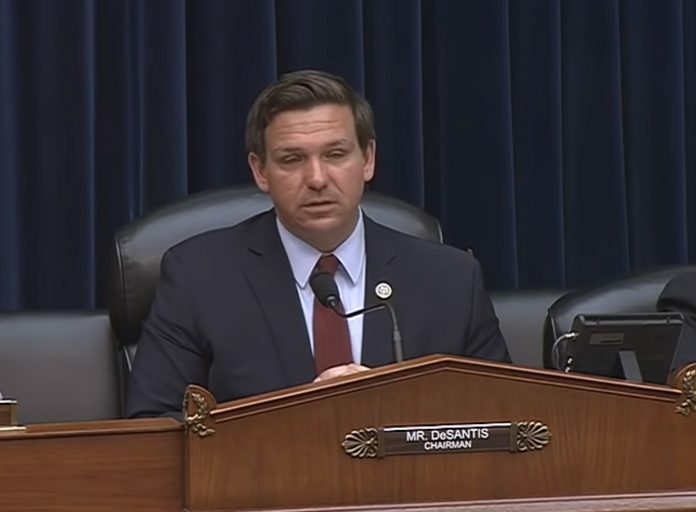 Rep. Ron DeSantis (R-Fla.) said in a hearing he organized in the House of Representatives on Tuesday that Iran’s growing presence in Syria has bolstered the case for the United States to recognize Israel’s sovereignty in the Golan Heights. “We can only imagine how much worse the threats to Israel’s north would be — and threats to the security of the broader region would be — if the Golan was in the hands of what remains of the Syrian regime, or Iran, or Hezbollah, or ISIS,” DeSantis said in the hearing of the House subcommittee on National Security. “By recognizing the Golan as part of Israel, the U.S. would send a clear that Syrian belligerence will not be rewarded, that Israel’s victory over its aggressor [in 1967] has consequences,” he noted. Israel gained control of the Golan Heights during the 1967 Six-Day War. After Israel briefly lost the territory during the 1973 Yom Kippur War, Israel and Syria established a United Nations-monitored ceasefire line in the region, with Israel taking control of the western two-thirds of the area. In 1981, Israel annexed the Golan when it extended Israeli civil law to the territory. Today, the region plays a key role for Israel’s economy and an important buffer zone for the ongoing civil war in Syria. Rep. Stephen Lynch (D-Mass. ), the committee’s ranking Democrat, expressed skepticism over the move, calling it a “dangerous proposition” in the Middle East. A number of Middle East experts testified at the meeting in support for recognizing Israel’s annexation. Michael Doran, a Middle East security analyst for the Hudson Institution, said that by recognizing Israel’s claims to the territory, it would help the United States and Israel combat Iran, which has been seeking to establish a permanent presence in southern Syria. Similarly, former Israeli Ambassador to the United Nations Dore Gold told Voice of America that the move would also quietly be praised by Sunni Arab states as a setback for Iran.